Zark's Burgers is known for their absolutely insane burger creations that have taken the country by storm. From a humble 20 square meter space in a ratty old mall, Zark's is now looking to end 2018 with roughly around 50 branches.. All that in less than 10 years! Now, they've undergone a rebranding, coming up with a sleeker, more modern design to their interiors and look, but their delicious food at affordable prices still remain the same. In fact, they recently expanded their menu to come up with new Signature Burger Steak Rice meals that will undoubtedly get the Pinoys appetite rumbling! 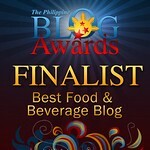 HOMEBASED DISCOVERIES: MILKBOXPH HOKKAIDO CAKES AND MORE! There are a whole bunch of local online purveyors that you can find on social media.. So this begs the question, how do you know which ones are good from the ones that are not. I plan to do a series of online vendors that I find on the net and give my two cents on whether they're worth it or not, and I thought it would be best to start with one such online business that totally blew me away with its delicious concoctions.. MilkboxPH. After reigniting her obsession with Korean Dramas, Rina had dreams of visiting Korea, especially in the winter. After 2018 rolled in, her dreams finally came true when I told we had tickets to Incheon via AirAsia with our names on it! Rina had her own itinerary set, based on the locations of her favorite Korean Drama shows, however she asked me to take care of the more touristy spots in Seoul that I wanted to check out. I didn't hesitate to log on to www.kkday.com to gloss over the offers they had, before finally settling on a couple of tours that would make our vacation even more memorable. Based on the advise of my friends that had visited Korea in the past, some of the MUST VISIT SPOTS are Nami Island and Garden of the Morning Calm. Thankfully, there was a tour available that would take us to those gorgeous spots, with a short stop at another popular tourist attraction, the Gangchon Rail Car park. I have professed my love for Chinese food on my blog time and time again, which is why I have so many Chinese restaurant entries. However, this was the very first time I would be visiting a Chinese bakery.. And I was incredibly excited! I was ecstatic to find that the same care and precision used in meticulously creating Chinese savory dishes, is also used when baking the different types of breads.. Perhaps even more so with bread because being off by a few milligrams could lead to a baking disaster! But Mai Wei Fang at Robinsons Place Ermita does a masterful job of bringing popular breads and other well loved snacks from China for us Filipinos to enjoy! I'll admit, I don't read very many books, but sometimes there will be one that catches my attention and gets me hooked. The moment I found out the premise of Ready Player One, I was instantly intrigued. An ode to 80's Pop Culture? Sign me up for that! I was equally ecstatic when I found out that it was being made into a movie, directed by no less than Steven Spielberg.. Which was rather fitting considering how he played a vital role in the 80's pop culture, making him part of the book's lore. So I made sure to read the book before the movie was released, just so that I could compare one with the other. In case you're not aware, Ready Player One is a book by Ernest Cline, set in the future. The world has become quite a dreary place to live in, and a visionary game developer, James Halliday, created an entire virtual world called the "Oasis", where you can be anything. The Oasis evolves into more than just a game, and becomes a way of life.. And perhaps the most important commodity in the world. Halliday had become such an icon (Think Steve Jobs x 100), that studying him and his pop culture favorites has become popular among the youth. When Halliday passes away, it is revealed that he has hidden three "keys" within the infinite worlds of the Oasis, which would lead to the coveted "Easter Egg". Whoever finds the egg wins Halliday's share of his company, essentially giving that person control of the Oasis. Until one day.. A single name appears on the scoreboard.. "Parzival". I was invited to Nono's by Classic Confections a few months back, when they opened their first branch at U.P. Town Center. Unfortunately, since I rarely frequent Quezon City, I as unable to visit them. Thankfully though, the opening of the newly renovated Podium Mall has helped create room for more restaurant establishments, paving the way for Nono's to find another home in Ortigas!